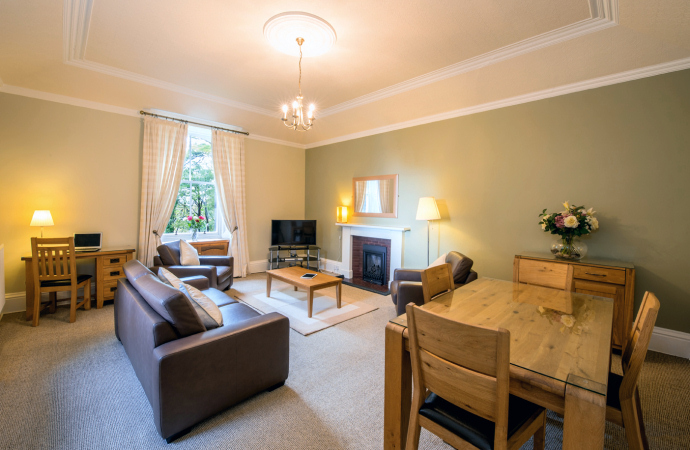 Ochil is a large, very spacious, one-bedroom, self-catering serviced apartment on the first floor of Northcliff House in North Queensferry, Fife, near Edinburgh. 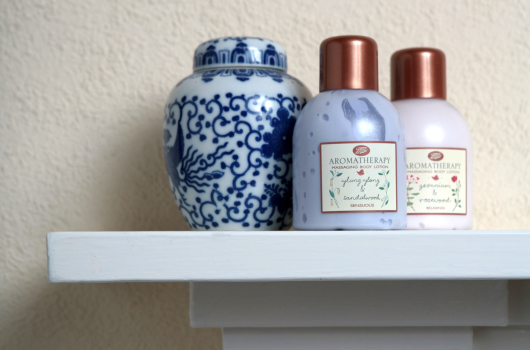 It is light and airy, with all the features you would expect to find in a 19th century mansion house. The apartment offers great views of Northcliff Woods and the River Forth from the lounge windows - watch out for deer! 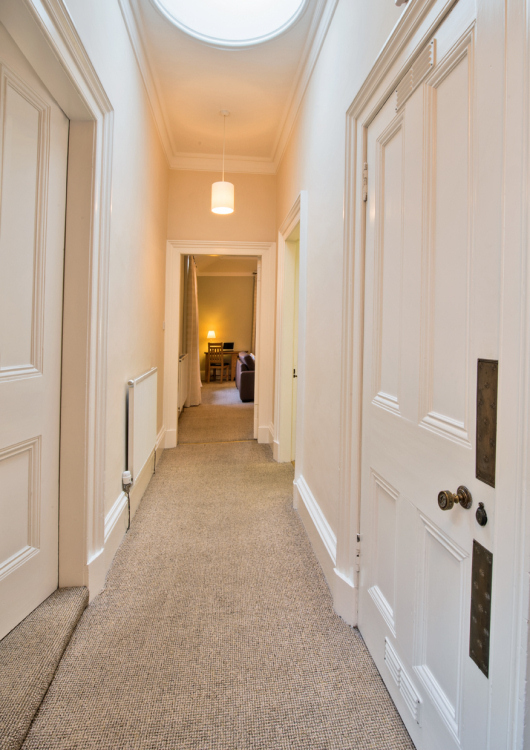 The apartment is an ideal base for a business stay, as Rosyth, Dunfermline, Edinburgh and the South Gyle business centres are all easily accessible. Very large, bright lounge with a traditional fireplace, dining area, and a desk if you feel like doing a bit of work in the comfortable surroundings of Northcliff. 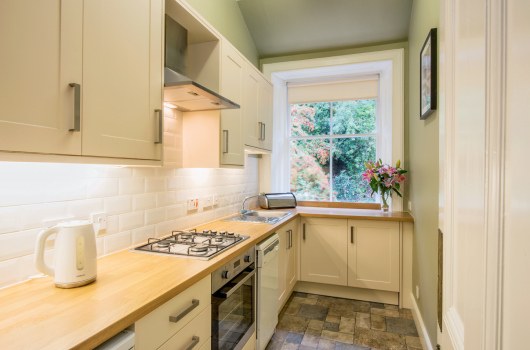 Well equipped kitchen with views out to the woodlands. The equipment provided includes gas hob / electric oven, fridge, dishwasher, microwave and coffee machine. 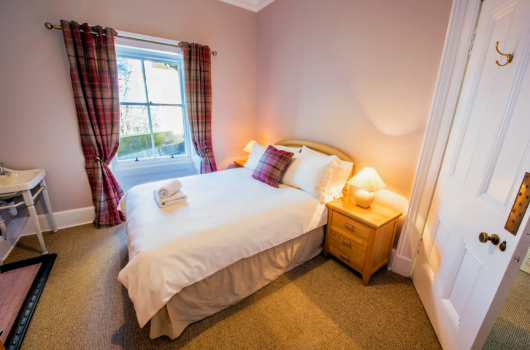 Lovely bedroom with double bed and feature fireplace. Bathroom with original Northcliff House fittings and a large distinctive bath with shower over. Large hall cupboard with washing machine, dryer, freezer and additional storage space.